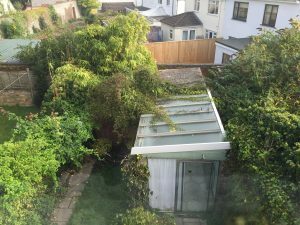 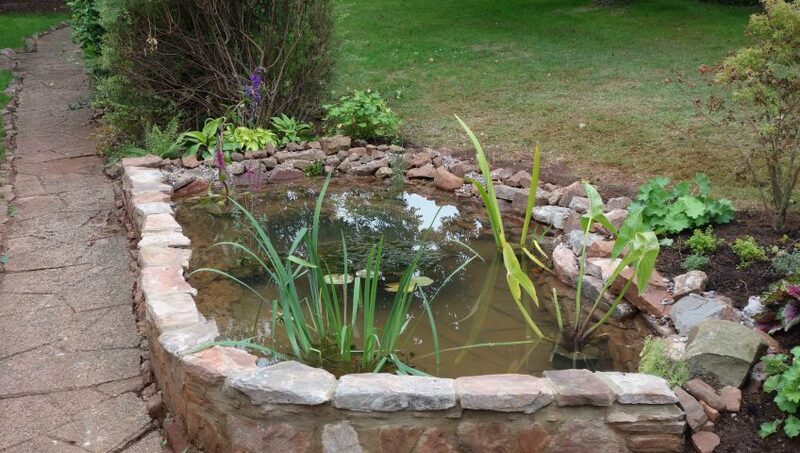 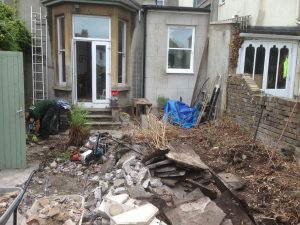 This job in Redland had many challenges. 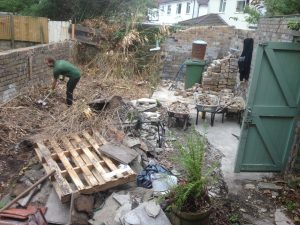 After an extensive site clearance all the walls had to be checked and found to be unsafe so an complete rebuild and repoint was needed. 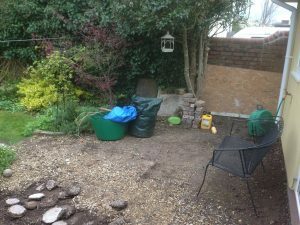 The site had a lot of surprises for us from vast bamboo networks to hidden groundworks. 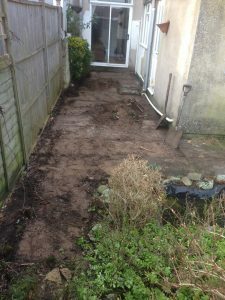 The whole area was levelled by hand as access would not allow even a mini excavator. 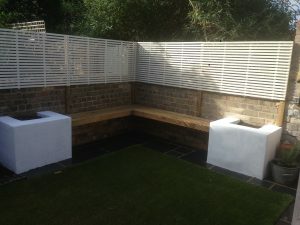 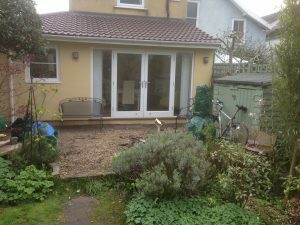 Once prepare we then installed some floating oak seating, venetian trellis, paving, completed some rendering and built a small shed . 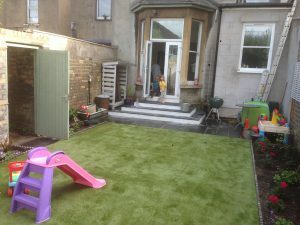 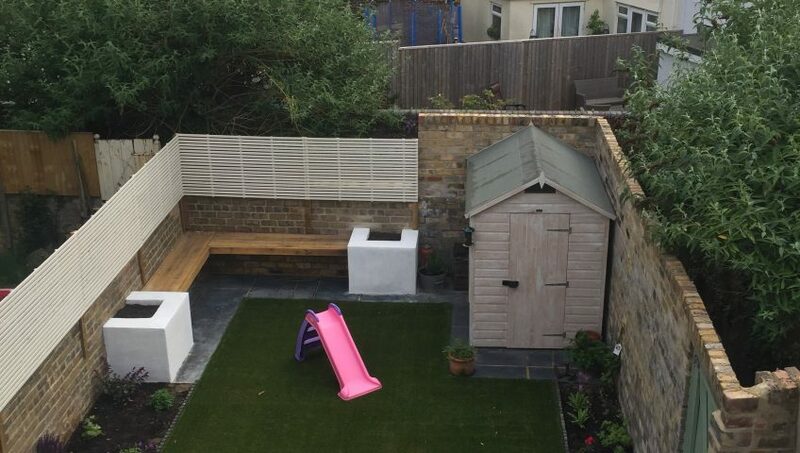 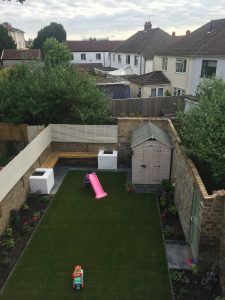 An artificial lawn was then laid and secured into place to complete the garden makeover. 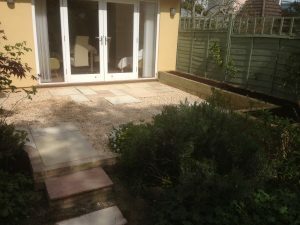 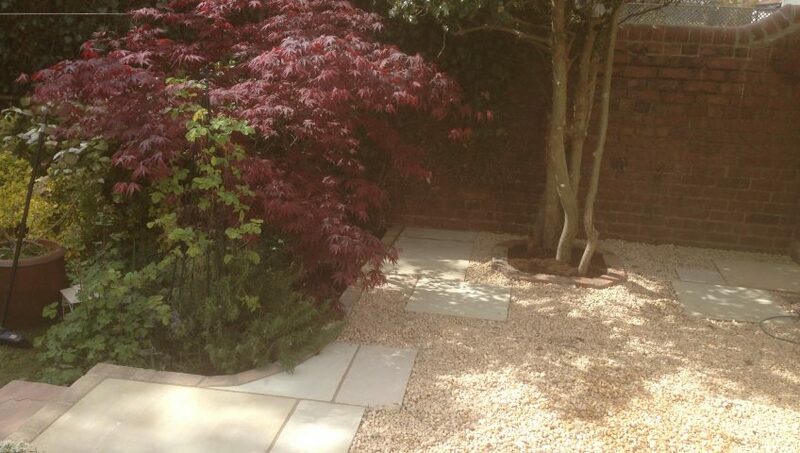 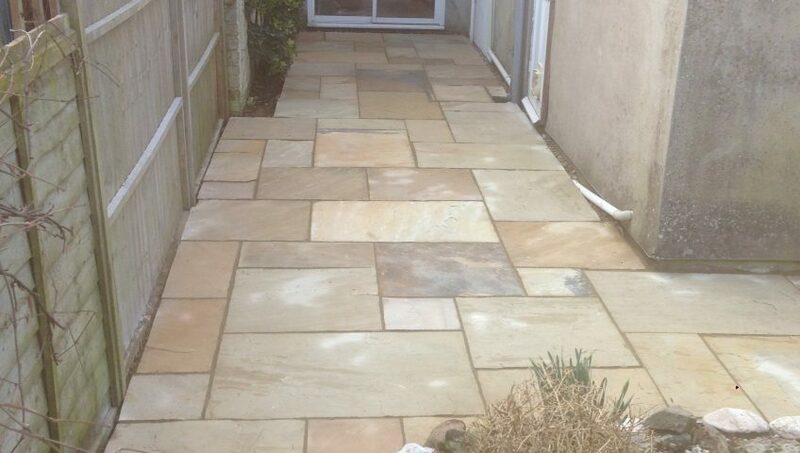 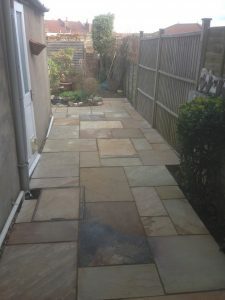 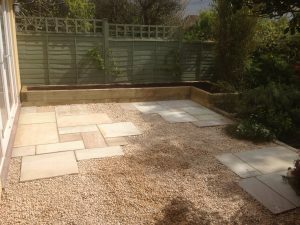 A mix of sandstone and decorative chippings means this split media patio is a perfect sun trap and much less costly than paving the entire area. 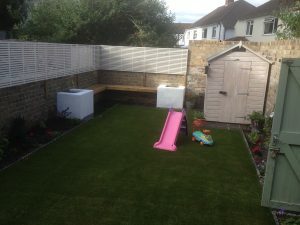 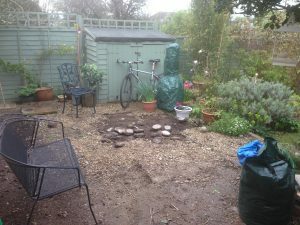 A small raised bed made of softwood sleepers was installed with a view to future planting.